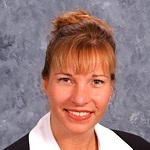 Lisa has been a valuable member of Shealy Wealth Management team since September of 2004. She has a wide range of experience in sales, marketing, administration, and customer service. She currently serves as Tim’s Executive Assistant with a variety of responsibilities including client services, office manager, and providing critical administrative support. She lives in Parkland, FL, with her two children.